There is never a shortage of fun things to do this time of year. But the first weekend of December is arguably the biggest weekend of the year for holiday events in Hendricks County, Indiana. Here are just a few highlights coming up this weekend. As always, be sure to check out our Events Calendar for a more extensive list of events. This event is so fun. My family likes to make some hot chocolate and drive out to Ellis Park to enjoy this display. We turn on Christmas music and enjoy the lights, and then tune in the the special radio station to watch a synchronized show by the big Christmas tree. The lights will be on display through Dec. 28 from 6-10 each night. The cost is $5 per car load Monday-Thursday and $10 per car load Friday-Sunday. 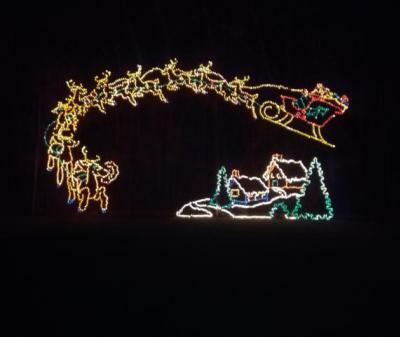 The display is at Ellis Park, 49 N. Wayne St., Danville. Basketball fans will love the Hendricks County Hoopfest at Danville High School this weekend. The Hoopfest will include nine games between local teams. The first game will begin at 5 p.m. Friday. The Hoopfest will start up again at 11 a.m. Saturday and helps raise money to go toward two scholarships. For information, click here. This is one of my favorite Christmas traditions. Santa and Mrs. Claus make their way along the parade route from Williams Park to Town Hall. They are joined by around 40 local organizations with floats decked out in Christmas lights, throwing candy to the kids. The fantastic parade takes place in Brownsburg starting at 6 p.m. Saturday. More details about this event can be found here. Natural Valley Ranch has tons of fun events throughout the year. Use this Saturday as an opportunity to check it out! Enjoy some cookies and cocoa, get a photo with Santa, Mrs. Claus, or an elf, do a craft and visit the petting zoo. The price is $10 for adults and $7 for children. For more information, click here. This is the oldest and largest fine art and craft shows in the area with more than 120 booths. If you love buying handcrafted gifts for the holidays, this is a craft show you won&apos;t want to miss. The event takes place from 9 a.m. to 3 p.m. Saturday at Plainfield High School, and costs $5. There are always fun events going on at the Hendricks County 4-H Fairgrounds and Conference Complex in Danville. 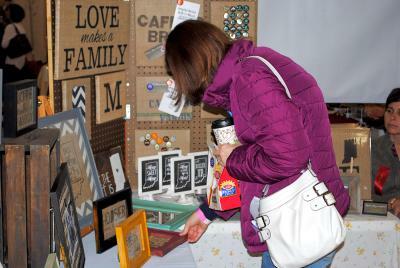 Find unique gifts for everyone on your list at the Out in the Barn Holiday Market 9 a.m.-4 p.m. Saturday. Admission is $5. You can also support public safety by attending the 7th Annual Everyday Superheros Cookoff from 1-4 p.m. Sunday. Admission is just $1 or a canned food donation per soup ticket. Music lovers will enjoy the HSO Brass Quintet Sunday at 3 p.m. at the Bartlett Chapel United Methodist Church, 4396 E. Main St., Avon, IN 46123. This concert is free. I hope you have a great weekend exploring Hendricks County!